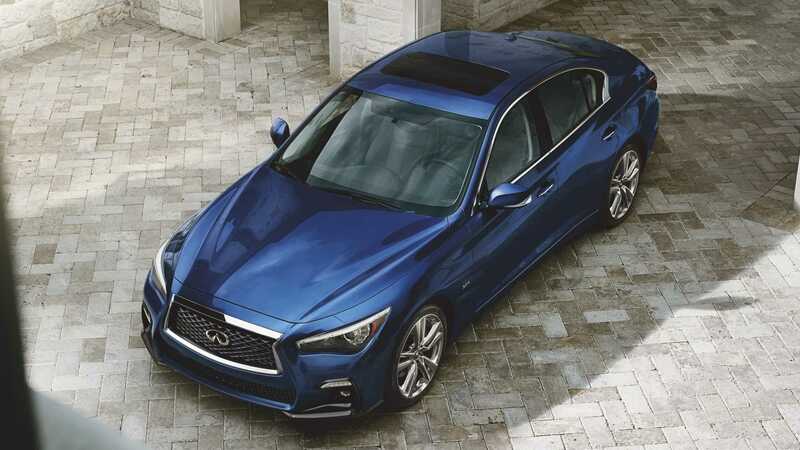 Infiniti is getting ready to introduce a new version of its Q50 luxury sedan/saloon, called the Signature Edition, at the 2019 New York International Auto Show starting in a couple days. The Infiniti Q50 Signature series sports original 19-inch wheels and comes slightly restyled front and rear. The interior makes use of aluminum trim parts, bucket seats in the front row wrapped in fine leather, and a high-end InTouch infotainment system complete with satellite navigation, voice control and 3D display mode. By default, all cars ship with a blind spot monitor, 360-degree view cameras, moving object recognition, and back-up assist. The only engine available is a 3.0-liter turbo six-cylinder rated at 300 hp (224 kW) and 400 Nm (298 lbft) of torque.